Think it's too early to start thinking about next summer? The people at Landscape Ontario don't think so. With the days growing shorter and chilly autumn nights upon us, Landscape Ontario has turned its attention to next year's sunny summer season. And while some summer styles stay the same from year to year, there are a few new landscaping trends which have consumers in a fury. Quality and value - The economy is affecting every business and landscaping is no different. Given the lean economic times, consumers have become more conscious of where and how they are spending their money. And while landscaping still represents a good investment in your property, investing in quality craftsmanship is more important than ever before. By investing in a quality contractor, consumers will ensure your investment is protected and will last for years to come. The cottage lifestyle, at home - With budgets tighter, many are making the best of what they have. Instead of investing in a pricey vacation home, many Ontarians are turning their own home into a fabulous summer vacation getaway. Consumers are investing in pools, hot tubs, gazebos, outdoor kitchens and lighting to take full advantage of outdoor living, right at home. Minding the sun - While fun in the sun is an important part of summer, more and more consumers are sticking to the shade. The shade allows many to enjoy the heat of summer without the dangerous rays of the sun interrupting any of the fun. Landscapers can add shade to any home landscape using creative designs combining pergolas and shade trees. Farm in your backyard - You can't get more local than your own backyard. Or at least, this is the thinking in the large increase in the demand for vegetable gardens, herb containers and fruit trees Landscape Ontario has seen. In particular, many young families want their children to have a sense of where their food is coming from, before it reaches their family dinner plates. 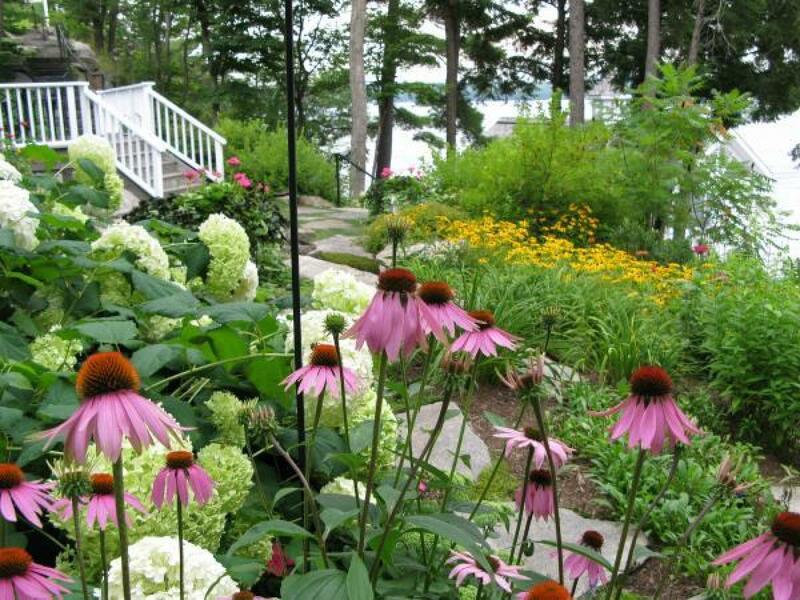 "Landscape Ontario is always looking to its consumers to see what they are responding to and what they are asking for," said Denis Flanagan of Landscape Ontario. "These trends are a collection of what we've this past summer and what we expect to only get bigger next year." And while these may be trends for 2010, Flanagan believes that many of these are here to stay. "I think overall what we're seeing is a return to the family and to the home. People are cutting back on vacations and second homes and putting what extra money they do have into their family home and this is likely a priority we will see for years to come."